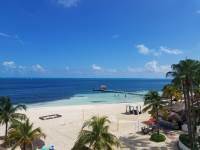 The Royal Cancun® All Suites Resort is nestled on a sheltered beach on the north shore of the Cancun Hotel Zone with breathtaking views of the bay and Isla Mujeres. Free high speed WiFi is available throughout. Upon checkout, my friend and I told the guy at the front desk that our items went missing after the hotel forcefully moved us from one room to another on Saturday (in the middle of our trip). They contacted me after to offer us reimbursement for the items lost in the form of money gram. Ethan Alexandro Alema and I exchanged several emails before he finally stopped responding to me altogether. My guess is he personally took the money instead of sending it via money gram to us. On top of the shady service, this place is filthy and old. The beds are uncomfortable. You can definitely find a better deal with another hotel! STAY AWAY! Very relaxing and enjoyable. Staff was very friendly and helpful. The Resort was always clean. The food was excellent. Mimosas were the best. The Front Desk folks were on top of everything. They could answer all of our questions. 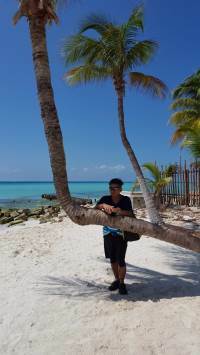 I stayed to on sept 16 to 23 2017, (first one is on 2014), I had a great time staying to Royal Cancun ( I like this resort than the royal sand ). The place are kept really clean everyday with the outstanding crew. 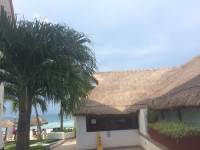 the unit ( B424 ) have a partial ocean view , kitchen is well stock with everyday need, went to walmart and bought some groceries, ate once to that mercado 28 ,,..went to the timeshare presentation and took the discount, you have to try that Captain hook and xplor ..we ate a few times at the palapa and food is good and the service are excelllent.We like this place so much that we bought that partial timeshare.. we are going back sooooon!!!!!!! Sheila never missed greeting us with a smile or friendly hello as soon as we entered the hotel. She provided tips, suggestions and directions on where to go, where to eat, what to do and other places of interest to us. She was always professional and pleasant. Excellent customer service! Clean, inviting. comfortable. Jeremias at the front or the door makes you feel comfortable. I will recommend the hotel. The only thing is missing is more shows at night. The quality of the drinks is ;not too good. You have to give better quality, that one of the negative thing at the hotel. 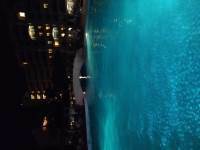 This was our second time staying at the Royal Cancun. We will definitely return again for a third. 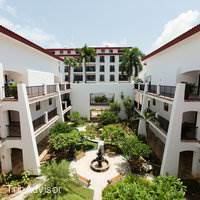 The resort has a more friendly feel than other larger resorts. All of the staff are friendly and communicative. The beach has much smaller waves than the resorts on the eastern side of the strip. There is a pier to dive off of. 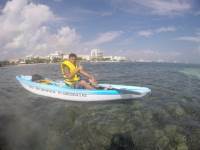 You may borrow equipment right on the beach to go sailing, kayaking or SUPing. Relaxing time with VERY friendly staff, great food, and great drinks. 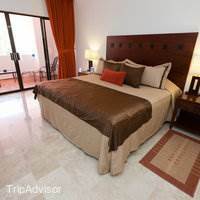 The villas at Royal Cancun are well maintained and attractive. The beach isn't very good. Shallow water and seaweed (visit sister resort, the Royal Sands for better beach but wilder crowd). Great free water activities... Thank you Carlos for taking us on the free kayak tour of the mangrove channels. They also have sunfish sailboats and paddle boards with free instructions.Quiet resort. Best for families with small children. The best part is the staff are friendly and helpful. Thank you to Gregorio for taking care of our room and to Adolfo our favorite waiter at the Italian restaurant and everyone's amigo.Went for the timeshare pitch for the Sands... $$$$$, but not high pressure. The Royal Resorts was a beautiful, small, clean, resort that had all of the amenities we desired for our family vacation. 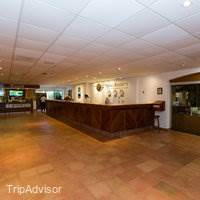 The staff was friendly and did their best to help us feel at home. Prices for food, drinks, and groceries where reasonable. Over all we would definitely return to The Royal Resorts! Too many infractions of rules and regulations with no regard for enforcement. Employees seem to be afraid to help enforcing safety and inappropriate actions by non owners. Maintenance of yard and gardens has gone down hill and needs attention to bring it back to the way it used to be. 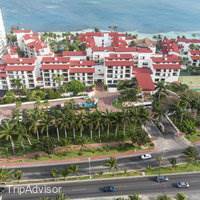 My experience at the Royal Cancun was a very pleasant one because of your staff. They were every where I went in the resort. They all acknowledged me with a big smile, followed by a good morning, good afternoon or good evening. In Spanish! Loved it! I felt that even those whom do not speak the language would learn to speak and understand the greeting part. The resort was very clean. It felt very good to be there. My overall stay was awesome! 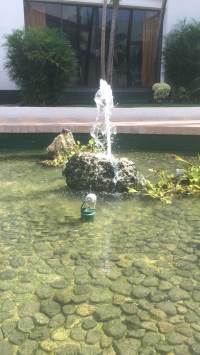 The resort was nice and clean, and the staff was very helpful. My only recommendation is to ask how much the incidental hold is prior to check-in. The amount they required was much more than the standard hotel, and I would have liked to have known that prior to checking in. 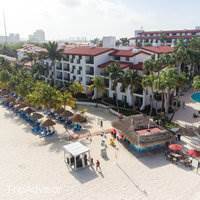 I looked over so many reviews and comments on so many places and finally chose the Royal Cancun based on the reviews and everything that I saw on this resort. I know that there were some bad reviews but I think that I made the right choice. It was beautiful and relaxing that we are planning another trip to the resort again. We met so many nice people that worked there and they seemed to enjoy what they were doing. They went out of their way to make sure that we enjoyed our stay and helped us with whatever we needed. We had a 7 month old and a 5 year old with us and they had a blast. The staff just loved them. We had a 2bd 2bth suite that was facing the ocean and was beautiful. We watched the pirate ships every night and also took the captain hook cruise and swam with the dolphins. It was one of the best vacations we have ever had. We stayed there for 5 nights. My parents, husband, two daughters and I. We had a very nice suite with kitchen. We had some grocery shopping and cooked. Did not have any problem with stomach. The beach is piece and blue. It's good for kids. Tow pools are clean and fun.All staff are very nice.Don't to listen to those presentation. If you want to join the tour, don't book it in the hotel zone. Go to Walmart in the town center. 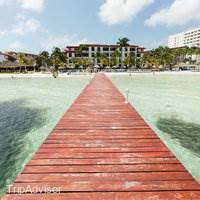 You will find the better deal even under half of the price in the hotel zone. awesome time, beautiful place ! 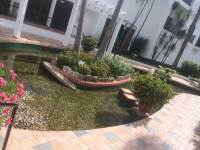 This resort is well maintained. The wait staff was incredible. The food was fantastic. 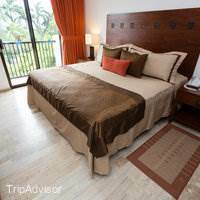 The resort is quaint which made us very comfortable traveling with 3 children. The beach was well kept. The shallow water was perfect for our 5 year old. The older two kids found plenty of fish snorkeling off the dock. I would highly recommend this resort. 2nd time at The Royal Cancun. Another good visit. Friendly staff, decent food. Beach is a lot more fun if you spend your time around the pier. 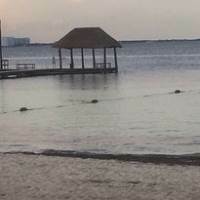 This time we snorkeled and kids jumped from the pier and swam around there. Food gets repetitive and while you can go to sister resorts and other restaurants it does get to be a bit of a pain. We did the timeshare presentation, ran longer than promised. Otherwise not the end of the world if you know what to expect.Overall if you are looking for a nice place to spend a vacation with your family you cannot go wrong with this place. 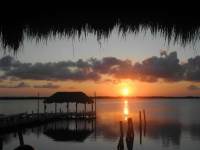 Cancun, Playa de Carmen, Isla Mujeres, etc...Friendly, beautiful places to see and do. Landed in Cancun, Rented car for $214 / wk. 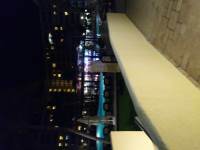 stayed at royal Cancun, great suites for $127/night, pools beach all well maintained, option for all inclusive but we are on the go to much to stay at hotel relaxing enjoying all inclusive for about $80 more per night.There is a Walmart near by with bakery and Quality food and beverages. I recommend to shop there. 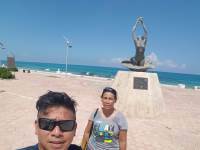 Traveled all over, Isla Mujeres, Cuzamel, (islands) Tolum and Chichi-nitza is where we hagel for prices on Silver Jewelry, Silver mines of Tosco is good quality. You will pay three times more in the states. If you like Seviche (Micos) is place in Tolum about three blocks south from main Blvd where all shops and restaurants are. The large plate of seviche (shimp,fish, lobster, octi etc...) to your liking is enough for two. 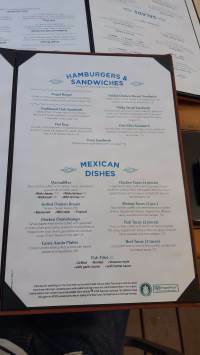 A $40 deal for about $13.00 American.It has great sea food, The Best! 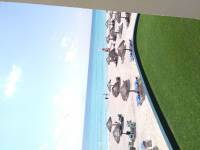 Also stayed in Playa de Carmen, Very nice stay on the Riviera, All inclusivewith swim up pool to your room. Still about $80 - 100 more for all inclusive /day so do make the most of it. I love this place with its quaint beach, superior staff, well maintained grounds and rooms and excellent restaurant food! The beach view rooms are wonderful. It is such a gem at the far end of the hotel zone, quieter than most places but easy access to the action by bus that runs every 5 minutes right in front of hotel or by inexpensive taxi ride. I will start by saying I read so many wonderful reviews of this hotel and was so excited to stay at a place that met the needs of my family. Beware: We took a night flight and got to the hotel at 9:30 a.m. I know my room was ready because they don't have housekeeping on Sundays and we were checking in on a Sunday. They told me I could not check in yet. Said I could go have breakfast and pay cash even though I was on the all inclusive plan. They told me it didn't start until noon. We paid $50 for 4 people for breakfast. Somehow my reservation showed my kids at a different age then on the reservation. When I checked in, they told me I need to pay a additional approximately $1000 more for the 2 kids for 7 days. I was shocked. They made me sign a long paper a giving them my credit card. They had me sign this form a few times to match identical to my driver's license. This process took a hour. The next day, we went to go to the sister property by bus for dinner on the all inclusive plan. As we walked through the lobby, the front desk staff tells me that the form I signed yesterday needed to be signed again. I told them I already signed it yesterday and paid yesterday as well. Then, we went to use our room key to pay for our all inclusive meal, and they chose to shut my room key off. This meant I could not get into my room or get any food or drinks when everything was paid for in full. We went back to the hotel, the manager comes out acting like she knows me and asks to talk to me in her office. She never thanked me for choosing the hotel or asked how my stay was. It was you need to sign this form again. I signed it again and then she gave me another set of keys to my room. I asked about that, she said locking you out is hotel policy. I can say, I got home, disputed the additional charge and won the dispute. After, I did the dispute with my credit card, I received a phone call from the hotel saying to drop the dispute and they would be calling me daily. My credit card contacted them telling them that is harassment.Positives: We had a 2 bedroom (1 King/ 2 twins) plus murphy bed in living room and 1 bathroom Oceanfront Unit. Top floor. If you have a oceanfront room, you can see fireworks overnight from the pirate ships around 9:15-9:45 p.m. Great room. Full kitchen. No laundry in room. Very large in room safe. Rooms are clean, but dated. 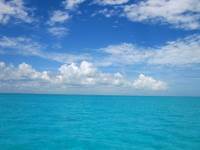 The ocean is calm and not very deep, but great to just sit in the ocean. If you like a lot of waves, this is not the place. They only have 2 restaurants on site. One has a bit of everything and the other is a fine Italian restaurant. The other restaurants that are in the all inclusive plan, you need to figure out when to take the bus, reservations and when to catch the bus back. Not enough bus times are offered. It was easier staying there then figuring that out. Great service at the Italian restaurant. I know they say tips are included, but staff appears like they are not. You have to show your room key for everything, even though you have a bracelet on. I am not sure why you need a bracelet if you show your room key for everything. You have to sign a form even to get a bottled water. 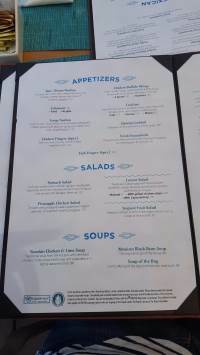 Also,seems like the waiters add other items on your bill that you did not order in the restaurants. They have had multiple complaints about this in other reviews. There are 2 basic pools. There are a lot of timeshare owners. They usually come and go on Saturdays. My family of 5 had a marvelous stay there this past week. 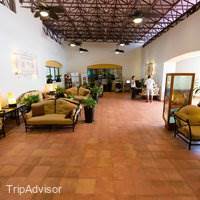 Excellent staff, beautiful accommodations and facilities and reasonably priced. I would say that anyone would enjoy it, but it is especially good for families. The pool and beach were both beautiful. Best of all, the resort was not crowded and at night, we had much of the pool to ourselves, in contrast to a fancier hotel next door which we visited, which was a zoo.I highly recommend the resort! This is our second vacation at Royal resorts. (last year Royal Haciendas). 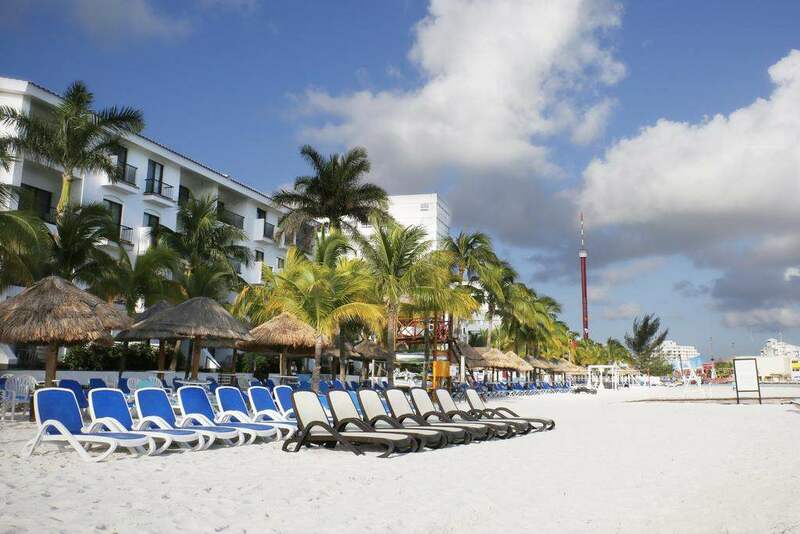 Please keep in mind that the Royal Cancun is a Vacation property (so the units are time shares and as such there is a desire to sell a time share to customers that are visiting). Advice would be to decide if a time share is something for you ahead of time. If it is something you want to consider go ahead with the presentation. If it is not for you just stay clear and let it be known there is no interest. 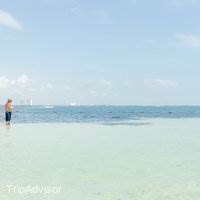 We made the fact known that there was no interest up front and were not bothered for one second our entire trip.Beyond that the Royal Cancun All Suites is an incredible property. Extremely well maintained property. The gardens were extremely well manicured and everything was kept clean. The rooms were clean from day one and kept very clean by the maid staff. In fact i came into the room one day and our maid was on the floor with a towel literally cleaning the tile by hand. Kids beds were made and their stuffed animals always arranged uniquely to their daily surprise.The all inclusive plan was excellent - not only could you make reservations at the on resort restaurant but you could visit neighboring restaurants and those were included in the plan. A charter bus ran between the Royal Cancun and Royal Sands (15 minutes apart from each other ) almost hourly - so it was very easy to have meals and spend days at the other resort that also honored the all inclusive plan.Pools were kept very clean, Ocean- note there is no surf a the Royal Cancun based on how it is situated. however the surf at the Royal Sands is really good. 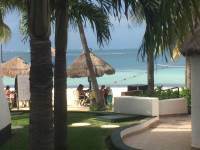 This makes the Royal Cancun great for young children and those what would rather soak in the ocean vs. fighting surf.Side trips (diving, boating, ... ) can be scheduled very easily from the little dive shop by the ocean with a very friendly staff. No regrets- this is a great place to vacation. We arrived later than expected to our hotel due to a flight delay and waiting forever at the car rental desk. The receptionist was welcoming but didn't really give us a lot of information and we found we had to work out where things were around the hotel ourselves. We are not sure whether this was because we arrived later as during the week other guests were being shown around etc. As we arrived late we decided to go and eat at one of the restaurants on site. We ate at the italian restaurant where the staff were really friendly and the food was really good. The site had a variety of on site facilities such as a mini market, restaurants, laundry etcThere were two good sized swimming pools and access to a lovely beach with plenty of loungers. The only negative is that on the main pool it is attached to a bar and some guests seem to think it is okay to just leave their cups or snacks by the side of the pool rather than place it in the bin. Although a member of staff does clean it up.The hotel is cashless and uses your room card as a payment and this is then paid for at the end of your stay. 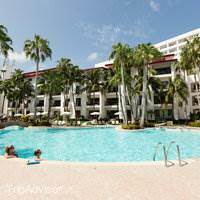 You can also go visit the other hotels which are part of the royal resorts such as the Royal Sands and there is shuttle provided. 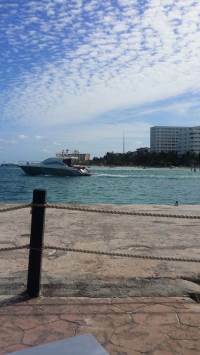 We definitely preferred the Royal Cancun as it seemed to have a better atmosphere and was smaller. We hired a car which enabled us to explore, although there is not much along the strip as the majority of the beach line is taken over by hotels. We drove to Chichén Itzá which is a simple drive as you stay on one main road for around 2hours. We left early to avoid the crowds and heat, definitely would recommend. 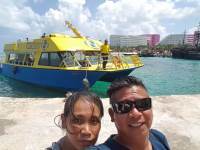 We bought our tickets at the site and parked at the site as well.We also were able to visit isla mujeres by walking 8mins from the hotel to the ferry. Alot cheaper than doing one of the tours.In addition we did do an organised tour through aquaworld who had a representative on the beachfront of our hotel. He was extremely helpful in providing us advice and information about his tours and did not try to push or sell us a tour. The tour cost was paid through the hotel. Definitely would recommend the paradise adventure tour - the staff were great. When we booked the tour the hotel seemed surprised as they asked us who our concierge was, to which we answered no one. They soon sent a representative to see us and provide us with a welcome gift. It was a really nice touch and nice to see that they did not try and push a sales pitch about timeshare. If you are hiring a car, beware of the police who can stop you for no reason and will try and give you a fine. We had this on our way to the airport which put a little downer onto our holiday. 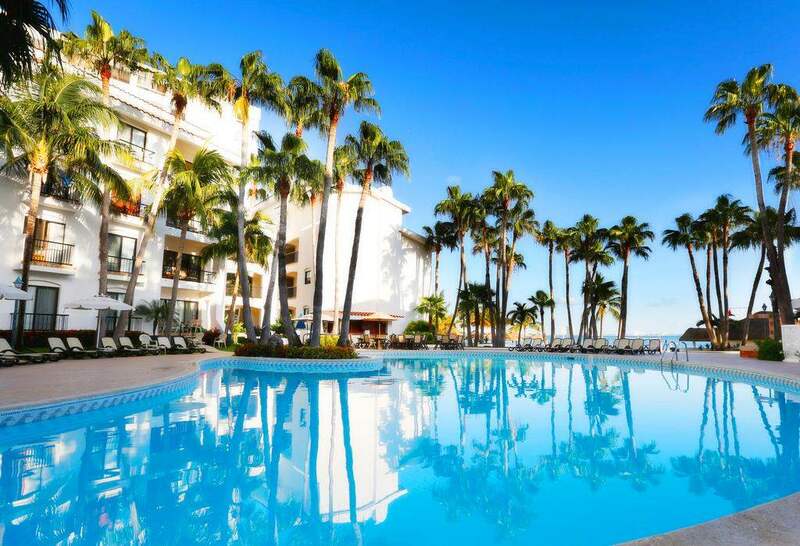 Also beware that in some of the supermarkets there are tour operators who will try and get you to attend a sales pitch about timeshare, we avoided this and made sure we went to cash tills away from them.Overall the hotel was really good and staff were really friendly and helpful. We had a good sized room with a good selection of facilities. 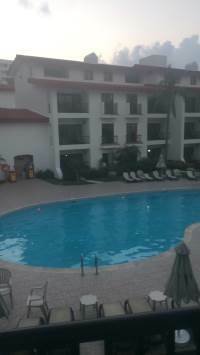 The pool and beach were great and the hotel had a really good atmosphere. Kitchen is very 70's and not in chic way. Hotel overcomplicates check in process and receptionists need better customer service training. Food and beach were great. Grounds were very clean. Gym staff was also polite. The resort was very clean well staffed and getting around was easy. 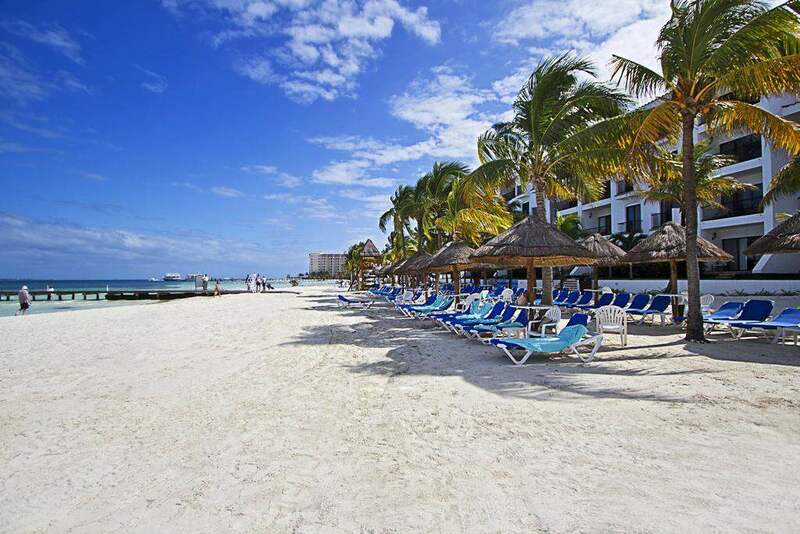 They have sister resorts and shuttle service that takes you to and from the other locations. If you wanted to go shopping the bus stop is right outside the resort and the fare is only 12 pesos. The perfect vacation. 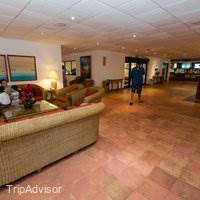 I was a little nervous after reading some of the reviews, but it all dissipated the moment we arrived at the resort. The resort was better than imagined. The staff was grade A Top Notch. I do not have one complaint, not one. Can't wait to go back. The Royal Resorts are all very nice. 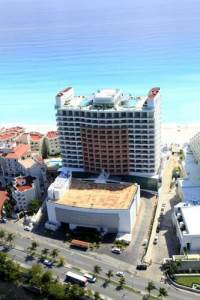 Great to stay at any of their properties in Cancun. 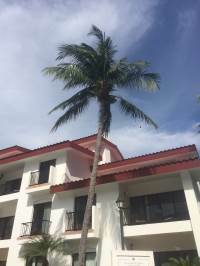 We have been back 12 times and will return to the Royal Resorts the next time we travel there.The service is excellent, the rooms and property are immaculate and the restaurants are very good, not overpriced.. They work hard to make your stay wonderful. It is sad to have to leave. It's sometimes awkward finding a place large enough to cater for a family of 5. 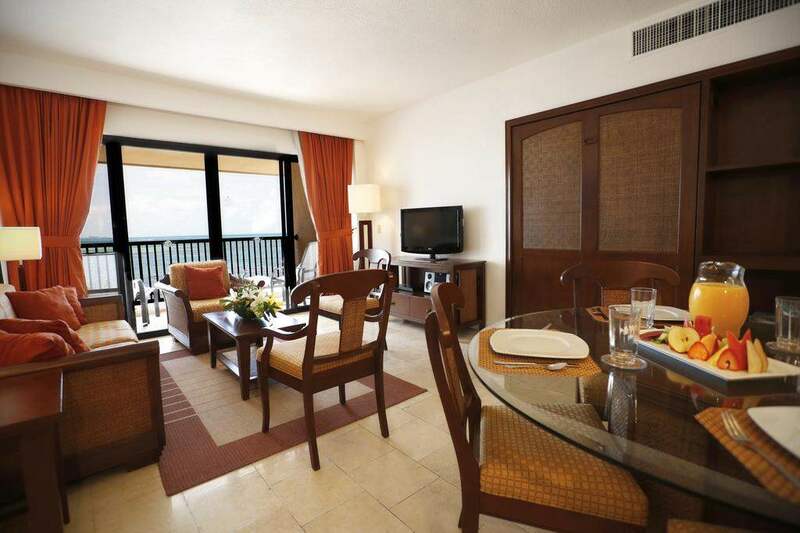 We choose Royal Cancun and upgraded to a villa with 2 bathrooms. The place is clean, friendly staff and plenty of onsite restaurants and activities to cater for most needs. There are 2 pools and the beach is right next to the hotel. Beach towels are free to use and for the more active, there is a tennis, volleyball & basketball courts with free equipment provided.A free shuttle bus runs most hours to their sister hotels and for those wanting to venture downtown, a bus stop is right outside (12 peso each).All in all, I would recommend the place. 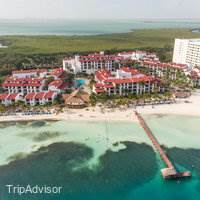 Spent 6 days in Cancun, the hotel was perfect for our 2 younger kids, 6 and 3, My wife and I enjoyed the stay and took advantage of almost all the services. 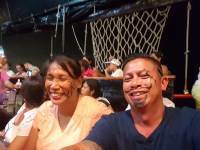 The food, service, and activities along Babysitting was great, all the staff are very helpful and the facilities make staying with a family truly great. Great place for families. Second year for us and our children are already asking to go back next year. 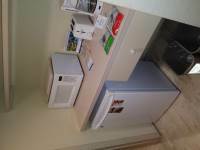 The staff are all helpful and friendly and the whole place is spotless. The real testament to this resort is the number of people who were there again this year who we met last year! We ( a family of 3 ) stayed at a 2 BR beachfront villa recently. Having owned at the Royal Resorts for over 10 years, I have never stayed here before. Most disappointing/ The second bedroom was the size of a sardine. Barely fit two twin beds in there. No murphy bed in the LR? Balcony was great, although only two chairs out there. We went AI for the first time, and probably the last. Why - just was not worth it - Only two restaurants there, and neither is worth anything ( especially the La Palapa ). Maybe worth 2 and 1/2 stars. 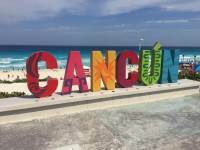 We were at the Royal Cancun for one week and we loved it!! Perfect for families, the beach has a big section very shallow and no big waves for small children to play. We have a 4 yr. old and 1 yr. old and it was very nice for them to play and for us to be there with them enjoying the beautiful beach. Food was great and service outstanding. The rooms were very clean and kept clean throughout our stay. We went to Cancun for a family vacation before my daughter's go away to college. The hotel is beautiful. The grounds are immaculate, very clean. 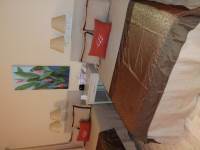 The rooms are spacious with 2 bedrooms and 2 balconies. The rooms overall could use alittle updates. But were very clean. We visited their other property, The Royal Sands. It is much newer, a lot bigger. Loud. We were not impressed. 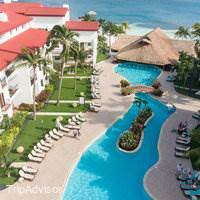 But we are more into quieter resorts that it doesn't take 10 min to get a drink at pool bar. 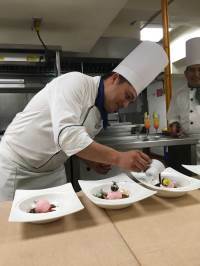 The staff at Cancun Royal are very hard workers and very personal w you. I stayed there for just 1 night with 3 other friends. We had a overnight flight to catch. We booked a suite that was 2 bedrooms. It had 2 beds in the bedroom downstairs with a bathroom and there was a king bed upstairs with a bathroom. There was a murphy bed in the living room are. 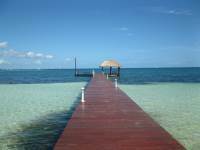 it is fully equipped for cooking and has a great pool and beach area. There is also a restaurant on site. The Royal Cancun is immaculate, you would never know this resort is 40 years old. Our room was kept clean and fully stocked with beverages. 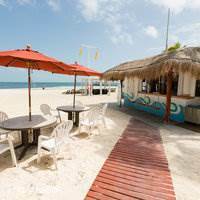 Service at the Palapa was excellent regardless of who was your server. Front desk staff was friendly and always willing to help. 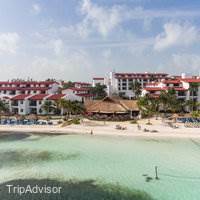 We visited the Royal Sands three times during our stay and had a great time there as well. 2 weeks of pure paradise! We have owned an oceanfront walkout villa for years. When we come to this resort, it is like coming home to family. 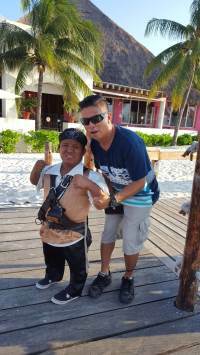 Every employee goes out of their way to make you feel happy-from Jeremias at the front to Angel on the beach! We bought here when our kids were little because the beach on the bay is so great with small waves. 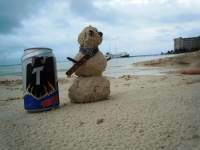 The main beach in Cancun can be treacherous for the little ones. Now our kids are grown, and we still love it. The beach is never crowded, the service is attentive, and it's very quiet and low key. We love it! We always rent a car though and go off property often for dinner. 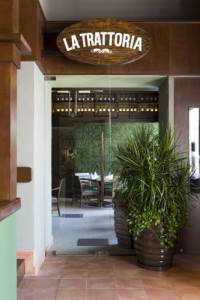 Howe ver, the new Italian restaurant on site is amazing, and the food is always fine at La Palapa. 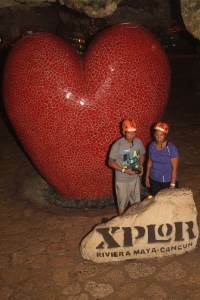 There are so many great restaurants in Cancun, though, that we love to get out and about at night. Great birthday celebration with my young teens! This past January my two young teenage boys and one of their friends spent 5 nights here to celebrate my 50th birthday. Unfortunately hubby couldn't get away from work to join us otherwise it would have been the perfect birthday. I chose this resort based on other reviews that spoke about the great food and service and most importantly the calm water at the beach. We really enjoyed the food! Even with 2 somewhat picky teens and a Mom that likes some healthier and some authentic choices, we were all very pleased! The teens preferred to order from the menu most days but I enjoyed the buffet just as often. It was not a large buffet and did have a lot of the same items from day to day but always had some authentic foods and different beef, pork, chicken choices daily. 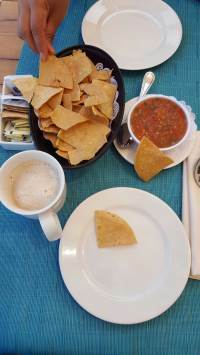 I loved the breakfast buffets with both American and Mexican foods! 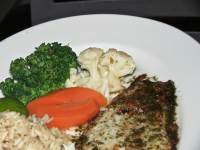 When I did order from the menu I was so impressed with presentation and freshness. The food was so beautiful that I took pics of some meals ;) we loved being able to come right from the beach into the open air palapa or even have our food brought to us in our lounge chairs! The boys were thrilled with being able to walk up to any bar and get smoothies or virgin pina coladas and such. They definitely had their share while we were there! The beach was AMAZING! So calm and clear! 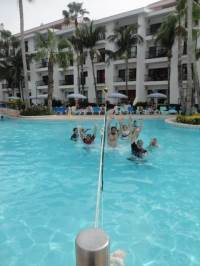 We played many games of water volleyball and snorkled, paddle boarded and kayaked. 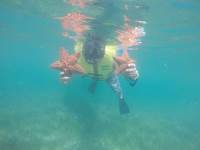 The dock was a great place to see lots of fish and even huge red starfish! We did visit one sister property because the boys thought they needed waves to boogie board but were very disappointed to see just how strong and huge the waves were on the other side! Red flags were up and no water sports were allowed. Hardly anyone was even in the water. We appreciated our calm beachfront even more after that!We really enjoyed having 2 separate bedrooms and even tho the kitchen wasn't necessary with our all inclusive package, I can see how one could vacation here without the all inclusive and stock the kitchen and still enjoy themselves. (I may try that next time) All the staff were very friendly and did a fantastic job. Never any issues with service. Only thing I would have enjoyed that was missing is some form of entertainment in the evenings. A show or live music or even a movie on the beach would have just been the cherry on top! Definitely not a loud or rowdy place tho and we certainly appreciated that! A great destination for families! The rooms are so comfortable for our family of 4. 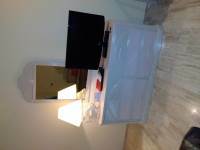 Our children have their own room, an ample bathroom, and nice sized master with storage, desk and safe. 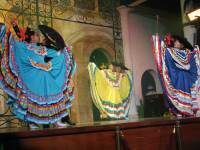 We always enjoy the customer service, especially the waiters and hosts at La Palapa and the sports desk staff. 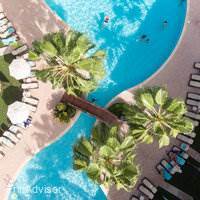 The food is tasty and readily available, drinks are refreshing, and plenty of activities to keep your family happy (we paddleboarded, kayaked, sailed, snorkeled, and swam in the ocean and the lovely pools. This was our second visit and nothing disappointed! Hope to return! Overall it is a very nice resort. It was very clean and well maintained. The accommodations were excellent.The downside was the food and drink.Obtaining food was more complicated then it should have been. Having to surrender our room card every time we wanted to eat or drink was an annoyance. It was impossible to just grab a quick drink or food and go.Additionally, the alcohol seemed to be very watered down. It would also be nice to have more restaurant options. As it was, La Palapa was really the only choice you had on a daily basis. The food quality was okay, but there wasn't much variety day to day. This is a beautiful property with amazing rooms and service. 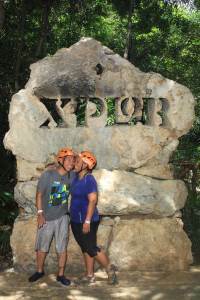 We loved our experience and will be visiting again. The staff was helpful and constantly went out of their way to make sure all our needs were meet. The only two down falls were the time share sales pitch and having to move rooms half way through our stay. Even with those minor inconveniences this was a great hotel and a wonderful vacation. We definitely felt at home and will be returning. Nice place if you are looking for rest and relaxation. 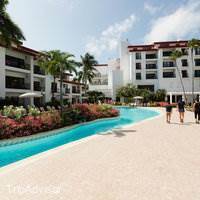 The resort is really for young families and older persons. Not much to do past 10 pm. We had two kids 9,10 and two teenagers. The kids club even closes at 6 pm. The beach is nice, but not really for swimming. Some of the staff were rude. 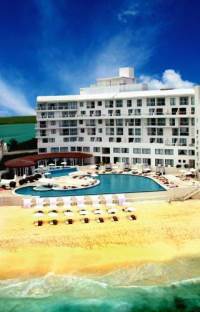 We went to the Royal Sands ( a sister resort, which we were able to use) which was awesome. I will stay there next time! If you plan to order room service you need to call an hour ahead of time (45-60 min wait), plus the person answering the phone made you feel as though you were bothering them! The buffet was decent. We highly recommend La Tratorria restuarant on premises. Overall the resort was clean and provided what we needed. 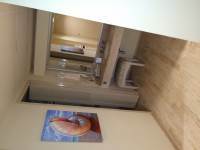 Resort is small with nice condo style rooms. We had a two bedroom for five people. The murphy bed in the living room was fine for our kiddo. 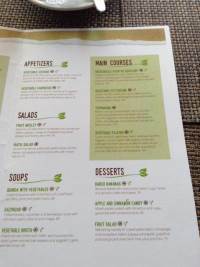 We enjoyed the Italian restaurant, but also traveled to other resorts and used their restaurants. We had a beachfront room, which was nice to watch the boats come in and out of port. Although somewhat noisy from the hotel next door music at night and the pirate ships. 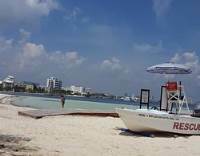 I only gave the Royal Cancun 4 out of 5 because of the shallow beach water. It is hard to swim or float when the water in the sandy area is only mid shin deep. My kids are 11 and 15 and the water was way shallow. It would be great for small preschool kids. The service and food was excellent. Great stay, helpful and very attentive personnel. Except for the time share pitch, but hey! That's how they make their money. Don't like it? don't sign for it! 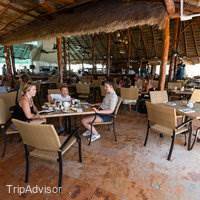 Breakfast at La Palapa with an ocean view it's a must, since the hotel it's at the very end of the Zona Hotelera, renting your own transportation is a plus. Great Stay! Ready to return! My family does not enjoy the Refine All- Inclusive food, drinks and service. We would greatly prefer paying for room only as we did on previous years! Some of the resort employees do not belong in the tourism industry, especially when they were being rude at someone nice paying $450 USD a night for lousy service!!!! !